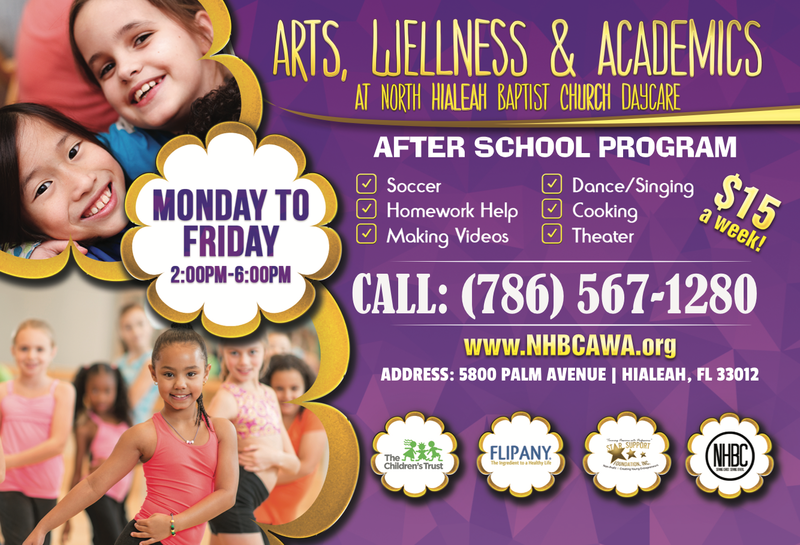 Arts, Wellness & Academics at North Hialeah Baptist Church Daycare is an after school and summer program offering K-5 students a unique curriculum of academics, arts, and wellness under the supervision of a professional staff of talented and caring staff members. Both English and Spanish literacy skills are encouraged and supported. Program begins September 15, 2018. Contact us at 786-567-1280 if you have any questions. Click the link below to open the application.